Price listed is for eight charms. 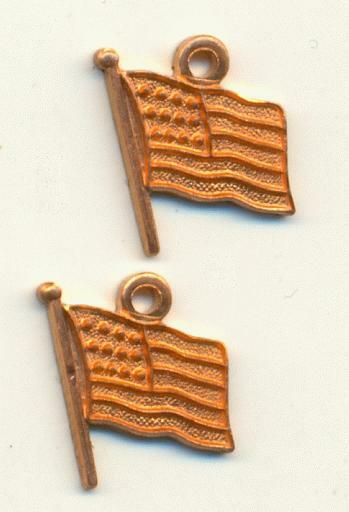 These are brass flag charms that measure approximately 11mm by 9mm. These are more of a red brass than gold. They appear to be die struck.